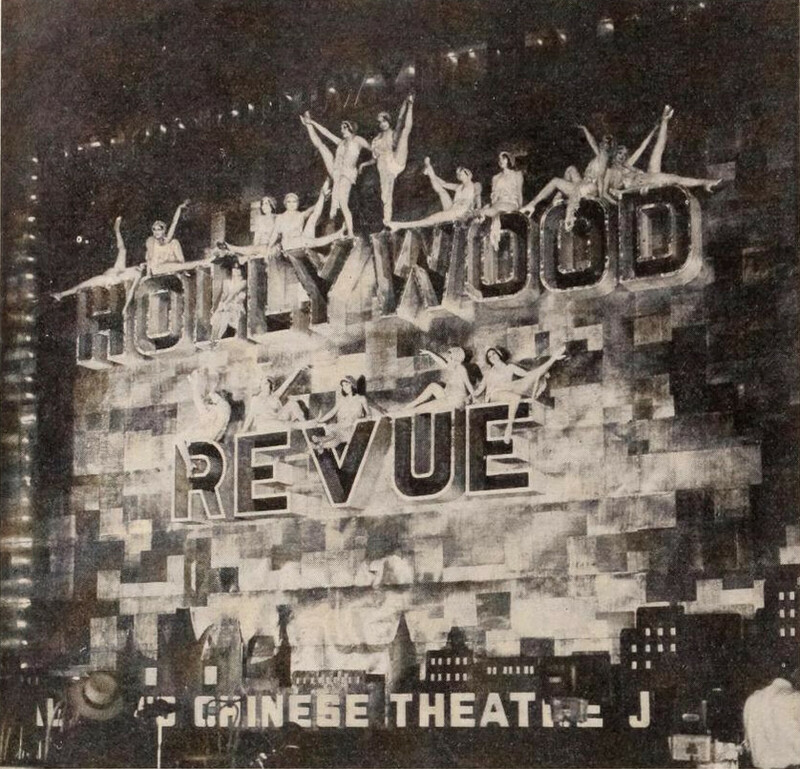 “Probably the first human billboard ever constructed for exploitation of a motion picture was erected to publicize the opening of the M G M’s ‘Hollywood Revue of 1929’ at Grauman’s Chinese theatre. “This sign, the letters of which were formed by living girls in scanty costumes, was erected on the busiest boulevard of Los Angeles and for five blocks in either direction the streets were roped off to traffic. “The sign measured 40 feet in length and 35 feet high, was set on a silhouette of Hollywood’s skyline, base with an effigy of Grauman’s Chinese theatre placed in the center. The letters in the sign spelled Hollywood Revue and were of the raised type covered with silver cloth with the girls in the channels. The whole sign was lighted with colored lights and made a striking appearance.